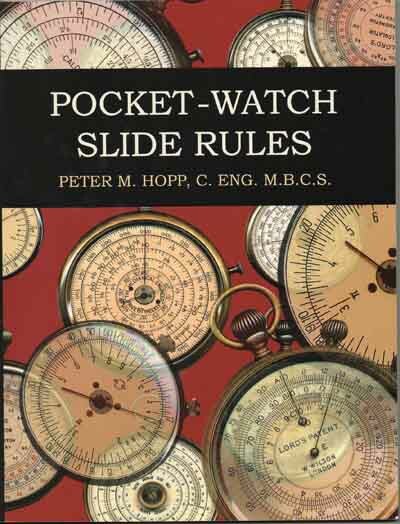 Peter Hopp's "Pocket-Watch Slide Rules"
This book is about one of the most attractive and tactile forms of slide rules, the pocket-watch slide rule. Although pocket-watch slide rules were not the most accurate or easy to use, these delightful devices were in makers' catalogues from all parts of the world for the last century of the slide rule's life. Pocket-watch slide rules are an exquisite example of the slide rule maker's art and are perhaps the most collectable type of slide rules. Peter M. Hopp is a 67 year-old retired Electronic Engineer by training, Computer Systems Engineer by transformation, and former Business Development Manager. He has been collecting, researching and writing about slide rules for over 20 years. Pocket-watch slide rules have always been Mr. Hopp's prefered style and at last he has garnered them together for their own featured presentation. The book may be purchased from Classic Hand Tools. Price £29.95 with £3 postage to the UK and £5 to Europe.